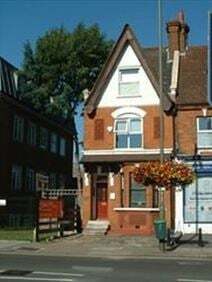 Situated in the Borough of Bromley, with great transport connections close-by, this period building offers a range of small offices that are suitable for start-ups and entrepreneurs. Available immediately on flexible terms of 6 months upwards. A variety of office sizes are available within this well furnished period property with reception services and 24 hour access. The building is a very short walk from the Clock House rail station and is also near the Tramlink. Fully furnished offices in this 1970s building situated in the centre of Beckenham. Services include kitchen facilities, secretarial support and conference and meeting rooms. Mainline train station close by. This newly refurbished centre, located within the London Borough of Bromley offers furnished serviced office space, virtual offices, and hot desks. The centre offers a range of amenities including meeting rooms; high spec monitored CCTV, with infrared over the entrances; a stationary shop; a cafe/juice bar; call forwarding and virtual assistants; and, an adaptable Great Hall is also available for exhibitions and networking,. 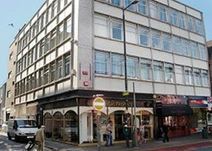 This business centre is situated on Beckenham High Street, surrounded by restaurants, bars, and cafes. The centre is easily accessible by train and tram, which can take you directly into Croydon. Modern serviced offices are available with: a full reception service to greet your clients and answer the phone in your company name; administration support; meeting room hire; and free filtered water, tea, and coffee. Ideal for small businesses and self starters, this centre provides serviced offices for between 1 to 8 people which are fully serviced and have access to kitchen facilities and are served by a staffed reception area. The site is in the Beckenham Junction area with good rail, tram and bus services available from minutes’ away.